'The Coo Shed' (formerly Old Steading Cottage) is over 200 years old and was the original cow shed. 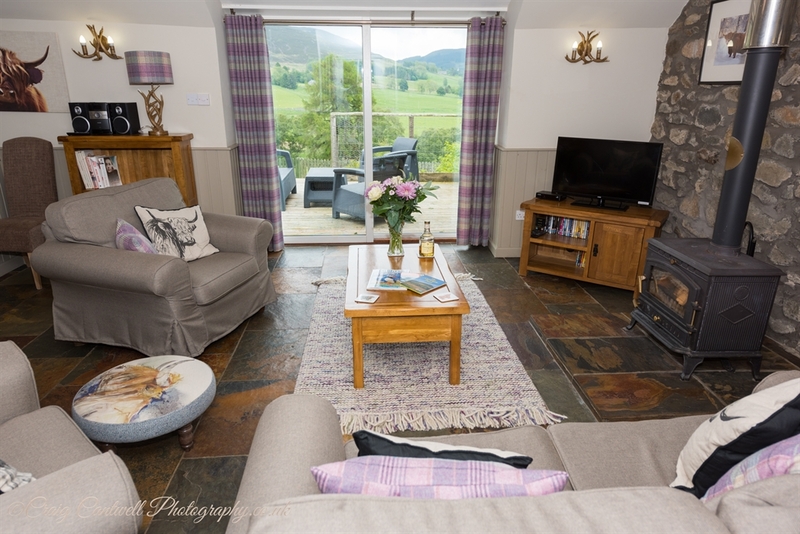 Now renovated to a high standard, The Coo Shed offers a stylish, comfortable self catering holiday experience with a traditional twist. 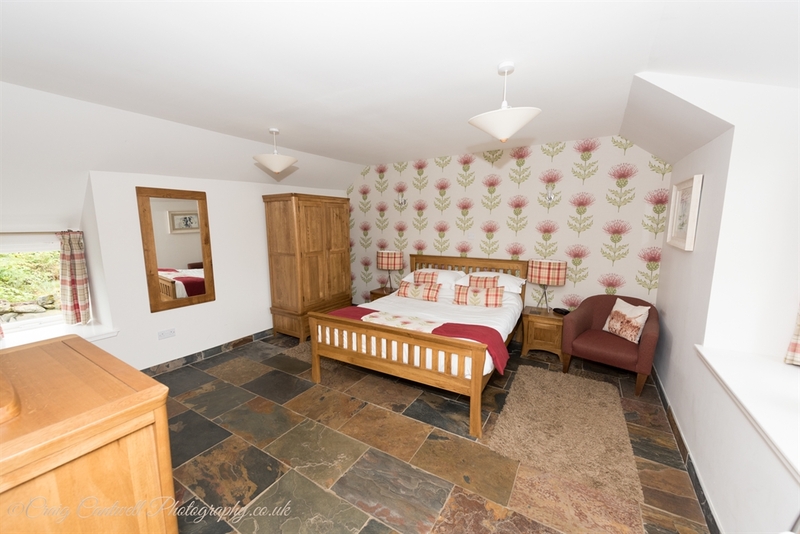 There are lots of character features including exposed stone walls, coombed ceilings and slate flagstones, warmed by underfloor heating throughout. 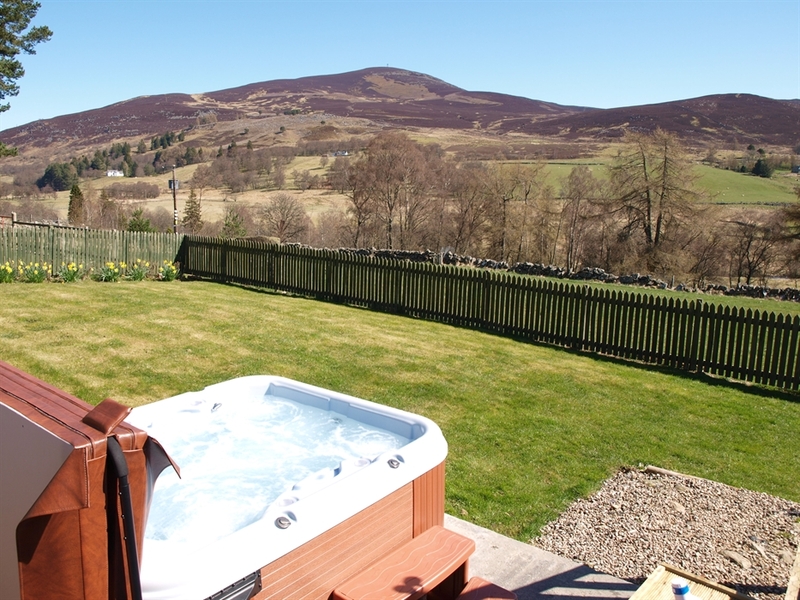 Perched on the hillside in Perthshire, the holiday cottage has spectacular views from all rooms and the garden, across Glenshee to Mount Blair. Large patio doors open up from the spacious living room onto a raised deck area and then down to a lawned garden with a 5 person Hot Tub. On colder days, light the log burning stove, with complimentary logs, and relax in comfortable sofas keeping an eye out for friendly visitors in the garden including red squirrels, pine martens, stoats, roe deer and a multitude of birds. 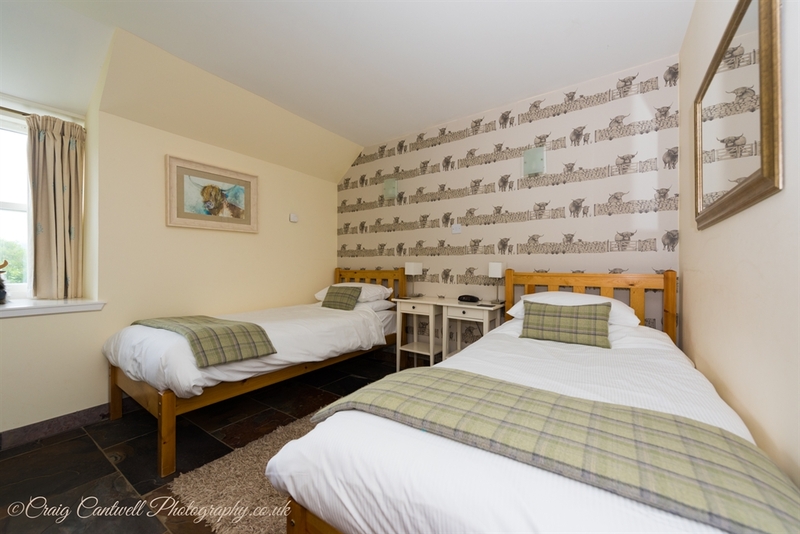 The holiday cottage, which sleeps four, has a spacious king size bedroom with large en-suite shower-room, as well as a twin bedded room and a main bathroom with bath and shower. We supply all towels and bedding, including large fluffy white bath sheets in the bedrooms, additional bath sheets for use outside with the hot-tub, and bath robes. 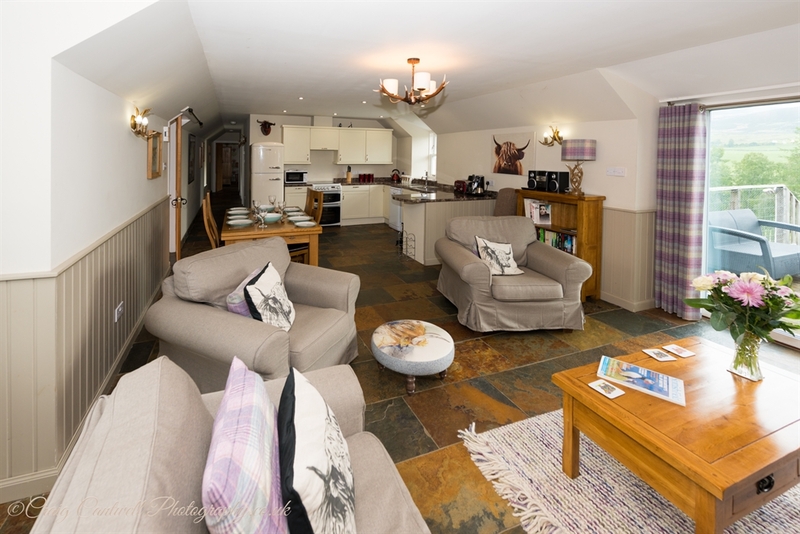 The Coo Shed at Dalnoid, uses geo-thermal heating and ground source heat pumps which provide constant underfloor heating and hot water during your stay. 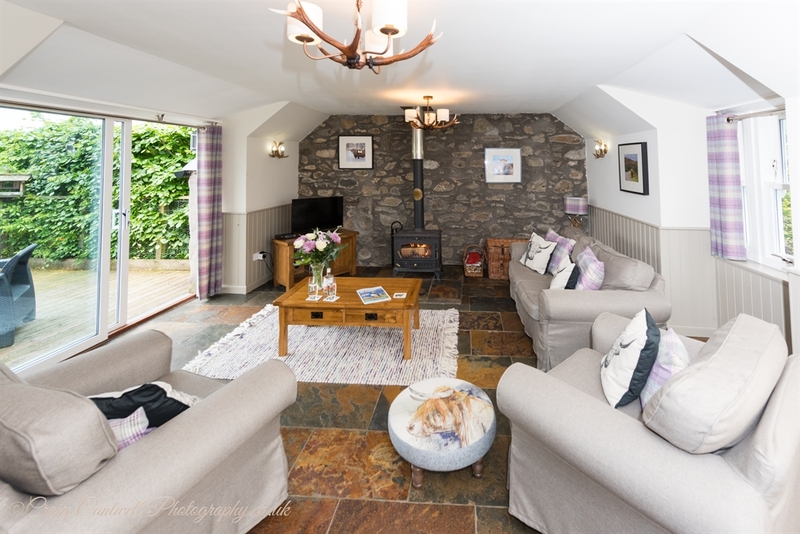 Heating is supplemented by the log burning stove for which free logs and kindling are provided within the cost of your self catering holiday. 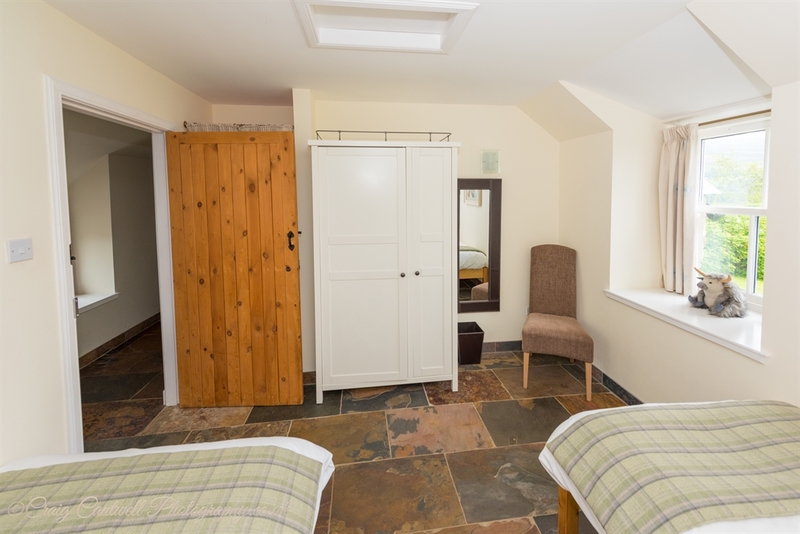 The cottage is laid out on one level, with no internal steps, making it suitable for guests with mobility difficulties. In addition there are grab rails in the main family bathroom above the bath and beside the toilet. 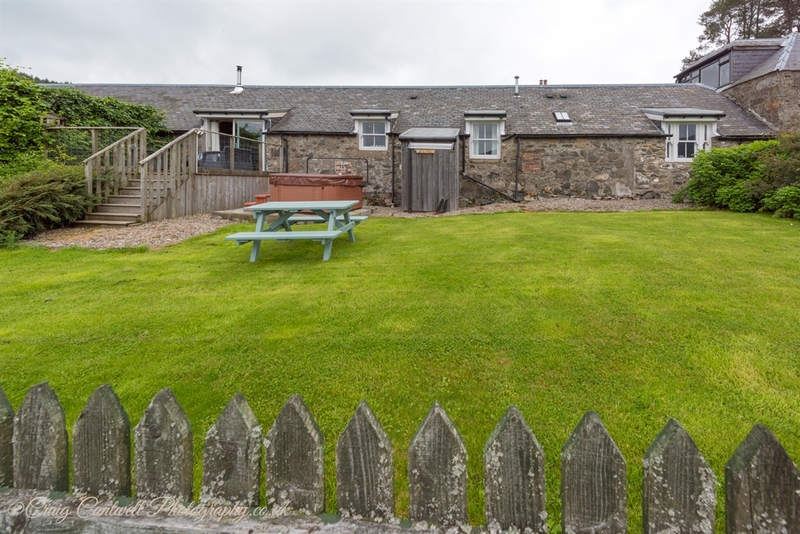 Well-behaved pets are welcome by prior agreement at Dalnoid Holiday Cottages - The Coo Shed is particularly dog friendly with rustic slate flagstones throughout inside and a large lawned and securely fenced garden to the rear.